A new lawsuit alleges that Predator drone targeting software was pirated, and emails obtained by Fast Company suggest the CIA knew it was sub-par. development firm, alleges that their Geospatial Toolkit and Extended SQL Toolkit were pirated by Massachusetts-based Netezza for use by a government client. Subsequent evidence and court proceedings revealed that the “government client” seeking assistance with Predator drones was none other than the Central Intelligence Agency. This all goes back to when Netezza and IISi were former partners in a contract to develop software that would be used, among other purposes, for unmanned drones. The relationship between Netezza and IISi soured due to alleged disagreements over the CIA’s (apparently rushed) project deadlines. IISi dropped out of their work developing Predator software; Netezza continued working with the CIA on the project. IISi’s current counterclaim claims that both the software package used by the CIA and the Netezza Spatial product were built using their intellectual property. IBM recently announced that they intend to purchase Netezza for approximately $1.7 billion. Netezza and IISi began collaborating in 2006, when IISi began reselling a bundle of Netezza’s data warehousing kit and Geospatial. Their relationship continued through several joint software developments before souring in late 2009. According to statements made by IISi CEO Paul Davis, a favorable ruling in the injunction would revoke the CIA’s license to use Geospatial. In real life terms, this would either force the CIA to ground Predator drones or to break the law in their use if the court rules in IISi’s favor. It is unknown if the CIA has a third option in case of a ban on the use of IISI’s toolkit. 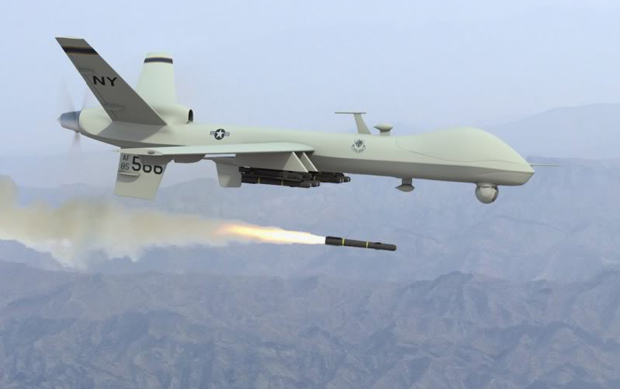 So could IISi’s injunction request shut down Predator drones? Hypothetically, yes. But given the tone, tenor and urgency of the CIA’s counterterrorism programs abroad, it is not likely. Nonetheless, Judge Hinkle has been extremely receptive to IISi’s claims. A betting man would guess that some sort of face-saving resolution involving escrow will be introduced. But in the meantime, amateur Graham Greenes everywhere can remain fascinated by how ordinary business lawsuits can end up spilling the guts on counterterrorism ops.